WITH SHRI ARUN NARKE as the new President of IDA, the Association is honoured to welcome its first farmer President — a dairyman who is essentially a milk farmer and who proudly proclaims himself as “the son of the soil”. Federation and Chairman of Kolhapur District Central Cooperative Bank Ltd. During his tenure as Chairman of Gokul Dairy from 1990 to 2000, the cooperative bagged 13 National Productivity Awards. Farming has been a family tradition for Shri Narke since generations. His farm at Kolhapur has 25-30 cows and buffaloes from which milk is contributed daily to Gokul dairy. With his rich and diverse dairying experience, coupled with technical and professional acumen, IDA with Shri Narke at the helm, is poised to achieve greater heights. 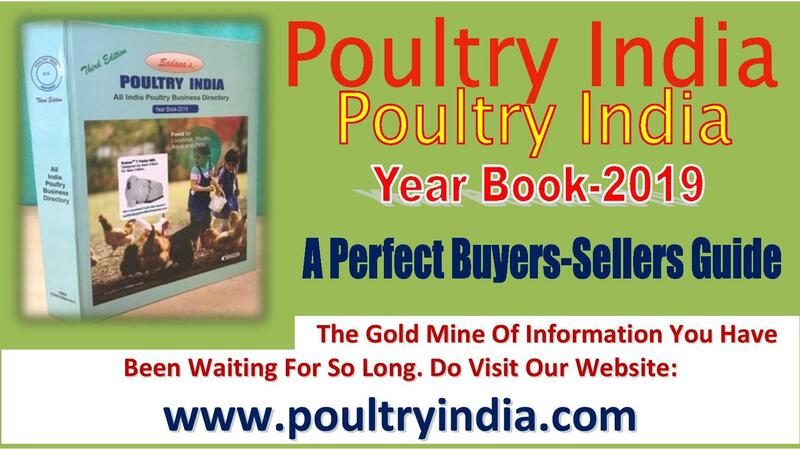 Indian dairying, subsequently, will benefit immensely from his continued and invaluable guidance. Chairman: Shri C.P. Charles; Vice-Chairman: Dr. K.S. Ramachandra; Secretary: Dr. Bandla Srinivas; Treasurer: Shri R. Malleshappa; Members: Dr. A. Elango, Dr. B.V. Venkateshaiah, Dr. Natarajan Sankaran, Shri Bachegowda R, Shri H.J.S. Gowda, Dr. N.K.S. Gowda, Dr. B.C. Ghosh, Shri K.V. Jagannatharao, Dr. P.I. 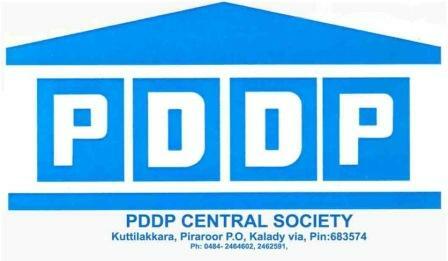 Geevarghese, Shri B. Nataraj, Dr. Kajal Sankar Roy, Dr. P.K. Shrivastava, Shri B.V. Dharmendra, Shri S. Rajeev and Shri S. Venkatachalam. 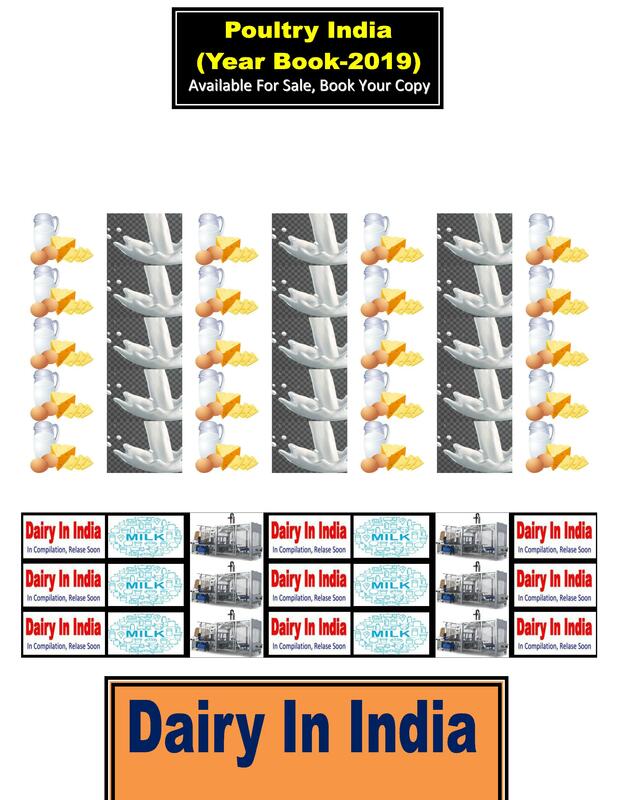 INDIAN DAIRY ASSOCIATION publishes its scientific and technical Journal called Indian Journal of Dairy Science (IJDS) for imparting scientific knowhow and disseminating research findings. The journal is published bimonthly and includes research articles, abstracts, reviews, short communications and other cognate matters pertaining to the industry. IDA is pleased to inform that this year IJDS has been awarded a score of 5.26 by NAAS. This is a significant improvement from its last rating of 4.19. Ratings have been given out of 2570 scientific journals as on 1st January 2017. KEEPING I N VIEW the effects of global warming on land and bovine productivity, and its further impact on productivity and reproductive cycles of milch animals, IDA has decided to deliberate upon ‘Climate Change & Dairying’, as the theme for the 45th Dairy Industry Conference. During the deliberations at the conference, milk producers, scientists, practitioners, managers and CEO’s of dairy farms and milk processing plants will draw up a roadmap for sustainable growth while addressing the challenges of Climate Changes. The 45th Dairy Industry Conference concurrent to (India International dairy Expo) IIDE 2017 will be the biggest event of the dairy industry with the presence of over 1500 delegates from India and abroad. IN A MAJOR boost to dairy sector, the country has registered a growth of 6.28 per cent during 2014-16, higher than last year’s growth rate of about 4 per cent and three times more than the world average growth of 2.2 per cent. According to Union Minister for Agriculture Shri Radha Mohan Singh India continues to hold the number one position among milk producing nations of the world since 1998. 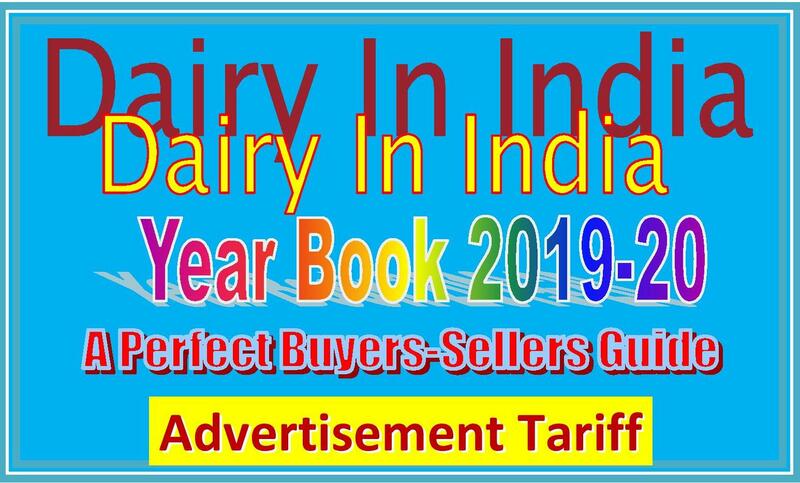 Milk production in India has increased from 22 million tonne in 1970 to 156 million tonne in 2015-16, which shows a growth of 700 per cent during the last 46 years. “As a result, the per capita availability of milk in India is 337 gram/day as compared to average world per capita availability of 229 gram/day,” the minister said. “If wheat and paddy is combined together, even then, in gross value addition (GVA) of Rs 4.92 crore in 2014-15, the contribution of milk is more than 37 per cent. About 54 per cent of milk produced in the country is surplus, out of which about 38 per cent is handled by the organised sector. The co-operatives and private dairy organisations have equal share in it, while women participation in dairying is about 70 per cent,” Shri Singh said while addressing the inter-session meeting of Parliamentary Consultative Committee of the ministry. Food Standards and Safety Authority of India vide their order dated 8th December 2016 has created eight Food Standards Review Groups. The order states that “due to technological advancements and changing dietary patterns etc., there is a need to review the existing FSSR standards in line with the global practices, addressing both the needs of consumers and for promoting innovation by Industry. There is a gap between needs of the industry and information available with FSSAI/Scientific Panels on this issue”. 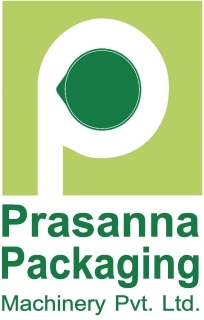 Keeping these in view the FSSAI has created Standards Review Groups. Dr. R.S. Khanna, Chairman, Kwality Limited has been appointed on the Standards Review Group II - Milk and Milk Products and Standards Review Group VII - Beverages including Alcoholic Beverages. UN SEES DAIRY as a potential ally in nutrition challenges in Asia. Milk and other dairy products would play a major role in fighting Asia’s newest dietary challenges: obesity, and vitamin and mineral deficiencies, according to a report by the U.N. Food and Agriculture Organization. “This report is an eye opener and a wake up call,” said Ms. Kundhavi Kadiresan, FAO’s assistant director general. But “increased consumption of milk and dairy holds out excellent promise to improve nutrition,” she said. As people move from the countryside to the big city by the millions, diets are changing from more traditional ones dominated by rice to a more varied version incorporating more fruits, vegetables, and meats. Changing tastes for food means Asians are drinking more milk, traditionally absent from many Asian kitchens. Production has almost tripled, from about 110 million tons in 1990 to nearly 300 million tons in 2013 — accounting for more than 80 percent of the world's increase in milk supplies during that time. Studies have found Thailand's National Milk Program, which brings milk to schools, causes students to grow taller and take in more protein and calcium. Similar programs were rolled out from India to China to the Philippines. WHILE THE STOCK MARKET has been on a bullish run as 2016 ends, most agricultural commodities are feeling the pressure, but dairy has had better luck with milk contracts finishing the year on a higher note. Milk prices are looking friendlier for dairy producers, according to Rabobank. It says the current price rally has more upside potential as they expect global milk supply to lag in the upcoming months. Tightened global production and smaller stocks could prove to be a bullish story for dairy prices. The USDA is expecting US dairy product exports to more than quadruple over the next 10 years. If these expectations are met, the US would be the world's third largest dairy product exporter. This news comes after exports declined in 2015 due to hurdles like Russians banning imports of most US dairy products and weaker imports from China. DUPONT NUTRITION & HEALTH has announced an increase in its manufacturing capacity — this time in Europe. The company will invest $60 million expanding three cultures production sites in the region as a response to increasing demand for frozen and freeze-dried starter cultures from the global yogurt, fresh fermented and cheese markets. The first phase of the plan will be commissioned in 2017. Part of this project will be the increase of fermentation capacity, biomass separation as well as freeze-drying capacity. This will result in an increased production capacity for freeze-dried cultures by the end of 2018.